​We enter together at 7pm. ​NO sales at the door. 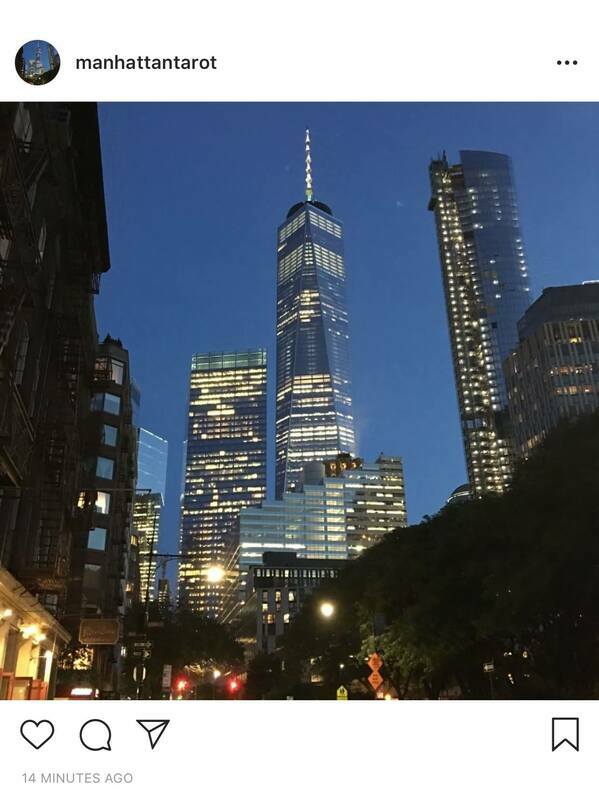 I fly into NYC to host these events. But I also have an office, across the street. I am available before and after event, for my full range of services, Thurs, Fri, or Saturday, 4 - 10pm, by appointment. I will also be brainstorming with local talent, local scholars, and local visionaries, about how to bring the best events into this space, to serve the public in their goals of better living. If you are interested in this emergent dynamic, and our emphasis on Vitality, Originality, and Community, please get in touch and share your ideas. We might have a spot for you in this creative process. Scott Martin Brings the Tarot to Life! Scott Martin studied acting at the Herbert Berghof Studio and holds an MFA in directing. 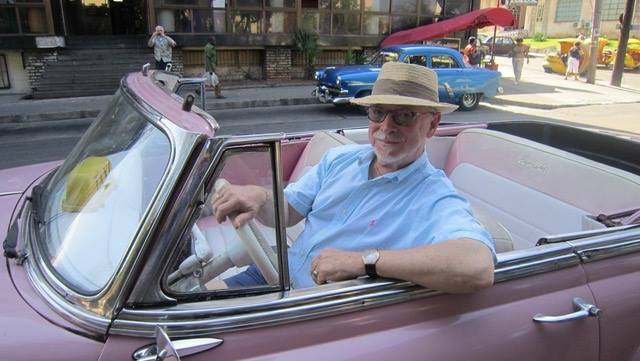 He's performed and directed in community and regional theaters, summer stock, and the off-off-Broadway theater. 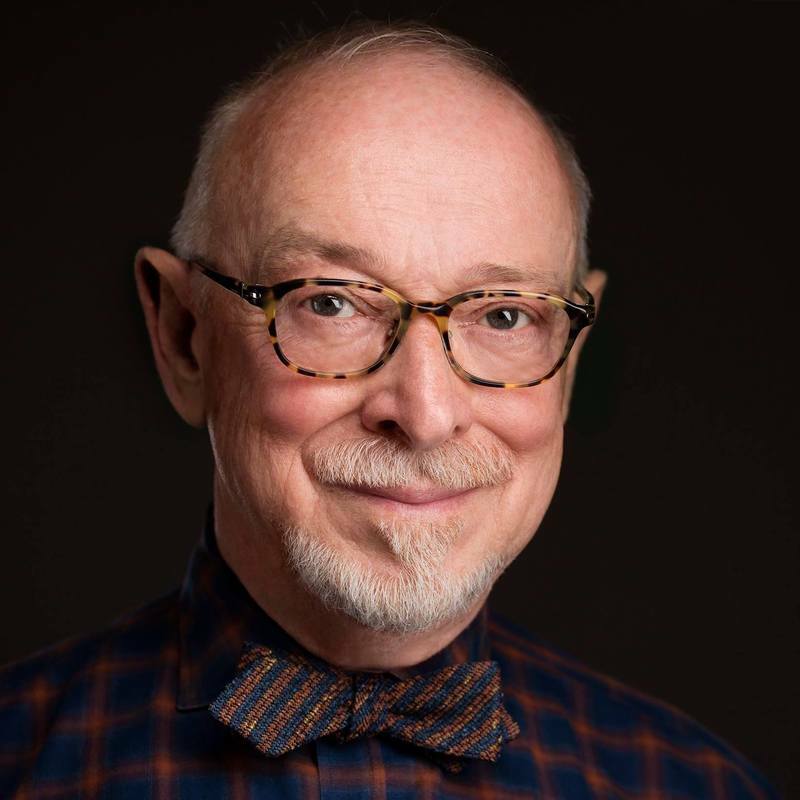 Scott has appeared as a feature instructor in Kim Wilborn's Tarot Telesummits II & III, and is the author of Bringing the Tarot to Life: Embody the Cards Through Creative Exploration, Llewellyn 2017. He lives in Brooklyn Heights, NY. Manhattan Tarot's first experience in our new venue took place on First Friday as usual. We had 20 participants, exactly as many as our tables would hold, and we had a blast. When we meet on Friday Mar 1, we will be prepared to seat 50! 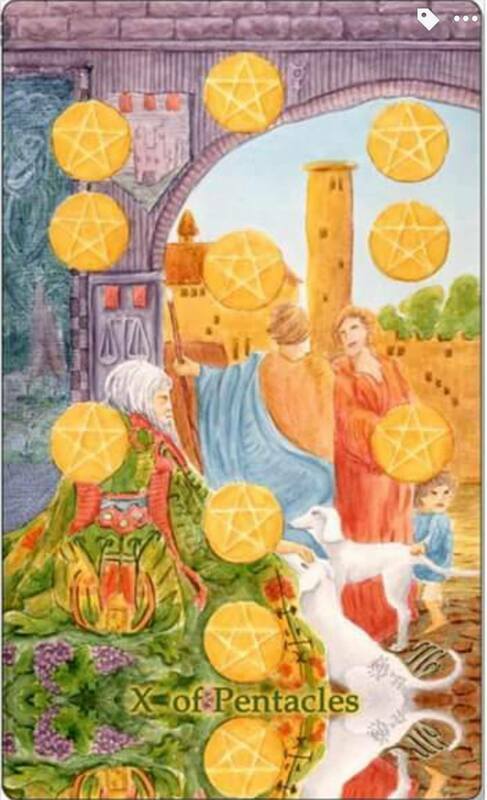 This was living adventure~ Ferol Humphrey Tarot Method Using my Blurt Drill techniques we bridged feeling, thinking, intuition, and vocalization, long before we ever attempt to actually read the Tarot. Great progress was made, much practical learning occurred, folks told the truth about their experiences, and everyone laughed a lot. ​Next time, why don't YOU come! 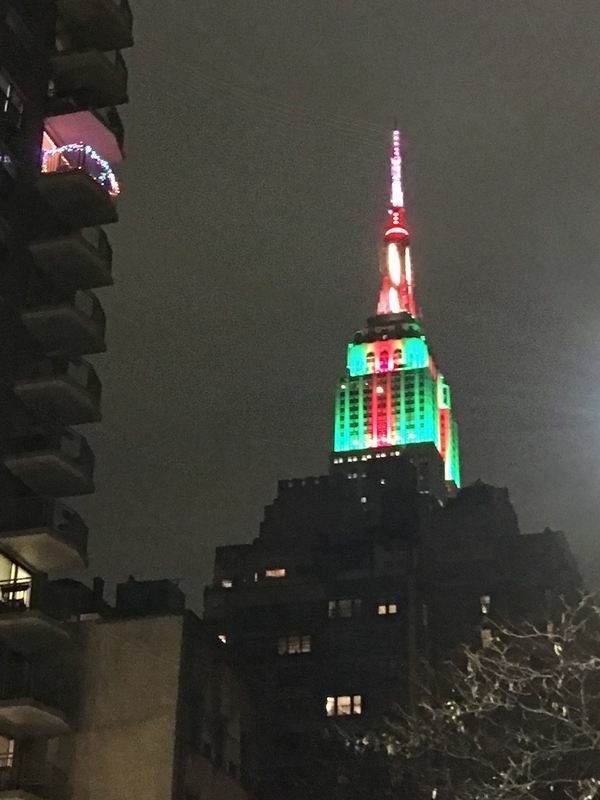 I flew into NYC to host this gathering. Scott took us for a wonderful ride into feeling and knowing Tarot. ​A Manhattan Tarot favorite, Scott is better known to the world as a lifelong teacher of acting, who began Taroting in 2005. Receiving readings which proved inaccurate, and then a few mind-blowing readings about past and current-life dynamics, he was drawn to discover for himself how Tarot can actually HELP us. Now, years later, Scott has his own book~ Bringing the Tarot to Life: Embody the Cards Through Creative Exploration~ which brings his distillation and insight, useful and relevant in our modern world. He offers us some of the best techniques from his career in acting and directing, for learning the Tarot. Did you know that the Waite Smith deck was created in an acting atmosphere? Yes indeed! Don't worry, you don't have to act, this is truly a Tarot book, and you will love it and learn lots! Scott's techniques are for NON-ACTORS who read Tarot. The cards will open up to us in ways many of us had not considered before. It was GREAT! ​I am your host, Ferol Humphrey. Manhattan Tarot meets 1st Fridays in Murray Hill, in the context of modern and ancient Tarot. Join us! I am a Tarotist, kabbalist, and esoterist with 35 years in study of world religions and spiritual systems, philosophy, mythology, Tarot, and the healing arts. I have a teaching Method and provide private tutoring and public classes, to lead people to further development and growth, for quality of life. I have offered local and international conference and convention Master Classes in Tarot and healing arts since 2006. ​I mainly create gatherings for creative development, community and originality. I like to bring people together for recreation, discovery, and enlivenment, so that they may go forth and live better lives. We focus on YOU, and what you are discovering and creating, and how we can do it together in community. are unsure how to get into the building. 1st Fridays are $20, prepaid. Registrations are non-refundable. This fee pays for our beautiful learning space in the New York New Church. Our casual gatherings are designed to engage the group as a collective, for inquiring about the basics of Tarot, showing decks, demonstrating new layouts, and asking about books and teachers. They are intended to be fun, and will feature my own body of work and Tarot educational experience. Come and join us! $20-$40, prepaid. Registrations are non-refundable. Our guest presenters receive compensation for their work! These gatherings are for presentations by talented members, or teachers, creatives, therapists, scholars, and others (perhaps well-known! ), who are interested in sharing techniques and theory with an enthusiastic mid-sized group. Our Guest Presenters are noted at right. $65-$125+, these gatherings are for past Guest Presenters who want to take their game to a higher level or a larger group. I may teach some of these myself, and will co-present with well-known Tarotists who live in NYC, surrounds, or are here in town for other appearances. We will use a larger, classroom venue. People who have actually attended a gathering in NYC will be invited to participate in the FB group, if they find that easier than the Meetup system or checking the web. We use that group for announcements and for expanding on techniques learned and tested in the 1st & 3rd Fridays. 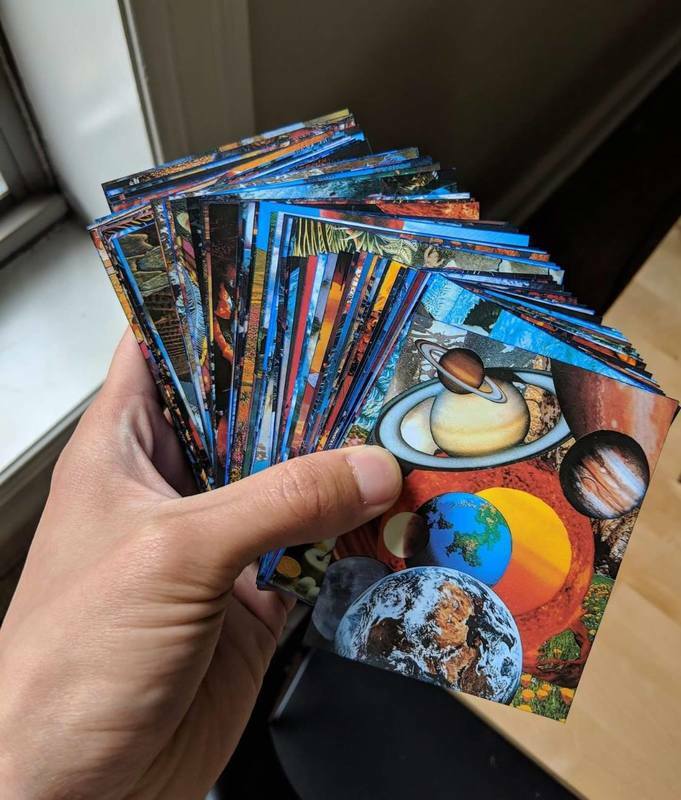 Voyager Tarot , created by James Wanless. Radical deck modification by Abe Bae. Click the image to visit James Wanless' site. The Lovers, from Tarot of the Sevenfold Mystery, created by Robert M. Place. Click the image to visit RMP's site. 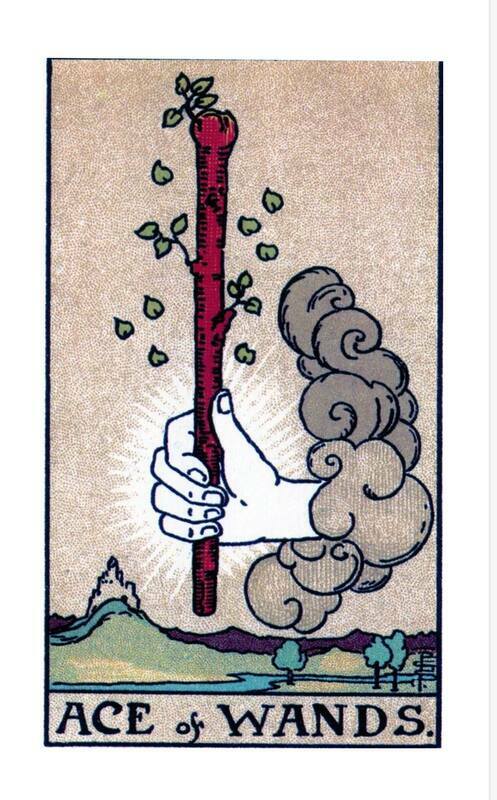 Ace of Wands from an alteration of the Waite Colman Smith Tarot, version attribution unknown. 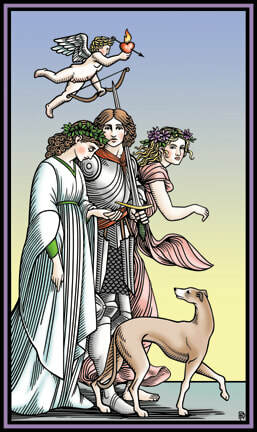 Click image to visit U.S. Games official variations of this Tarot. King of Cups image by James Ricklef. Eternity, from William Blake Tarot, created by Ed Buryn. Click photo to visit Ed Buryn's website. Joe Schippa, PhD, is a Guest Presenter of Manhattan Tarot. A lifelong educator, Joe has a potent administrative position in the NY state school system, and maintains a private clinical therapy practice, using the psychoactive imagery of Tarot where appropriate to assist his clients. Joe is a past presenter at the Tarot & Psychology Conference in NYC. 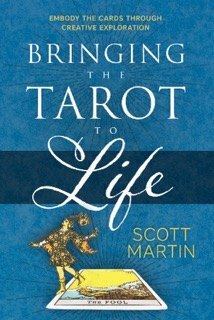 Scott Martin is a Guest Presenter of Manhattan Tarot. Scott studied acting at the Herbert Berghof studio and holds an MFA in directing. He's performed and directed in community and regional theaters, summer stock, and the off-off-broadway theater. Scott is the author of Bringing the Tarot to Life: Embody the Cards Through Creative Exploration, Llewellyn, 2017, available in paper and ebook. Abraham Bae is a Guest Presenter of Manhattan Tarot. 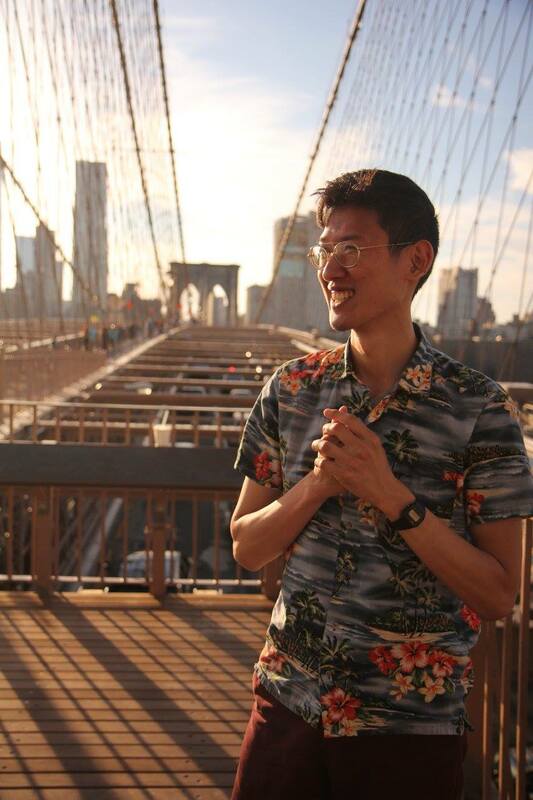 Abe is also a supervisory technology professional in NY, who combines aspects of systems to strengthen useful structures and invent new approaches. His focus is on people, and teams in which all participants feel safe in contributing. Abe uses Tarot as a way to elicit unusual solutions to everyday issues, and to assist himself and others in the development of the creative and expressive areas of their personal and professional lives. Mark Horn is a Guest Presenter of Manhattan Tarot. 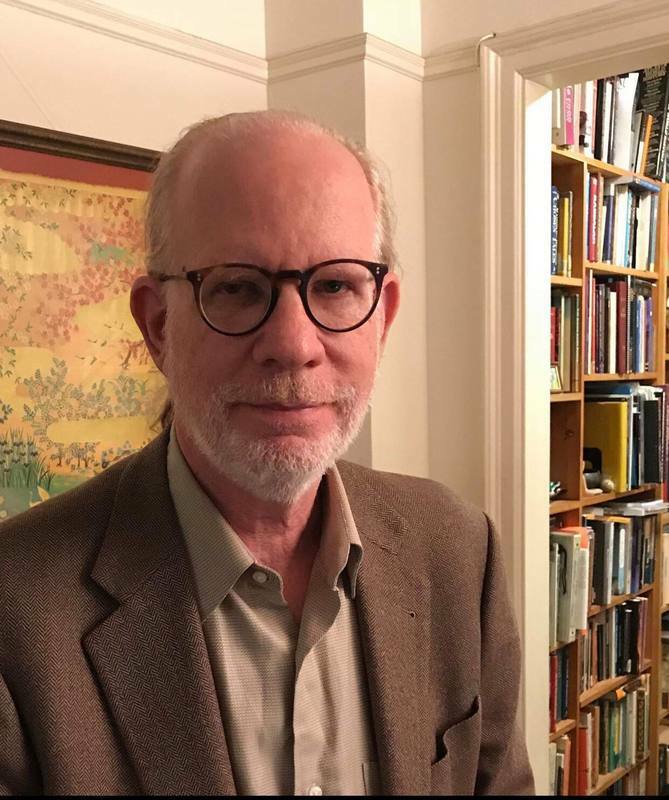 Mark's professional life includes his study of traditional storytellng as both a teller and as a teacher at the Jewish Theological Seminary. He brings the power of story to his career as an award-winning copywriter for Fortune 500 companies. 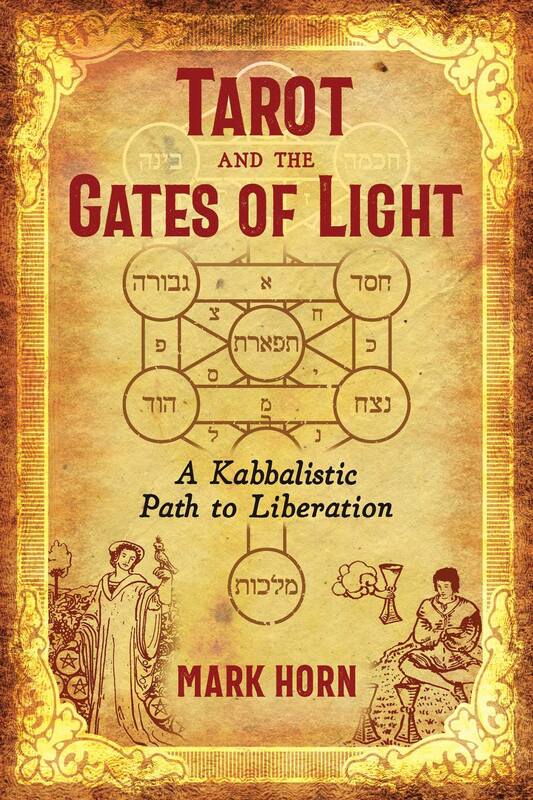 His new book, Tarot and the Gates of Light, A Kabbalistic Path to Liberation, (Inner Traditions 2019), shows how to use Tarot to practice the traditional Kabbalistic discipline of Counting the Omer for spiritual work. For people of all faiths, it brings together teachings from many traditions, from 12-step practice, as well as insights from his work for LGBT civil rights. ​Click either image to visit Mark's site. Copyright 2011-2019, all rights reserved.